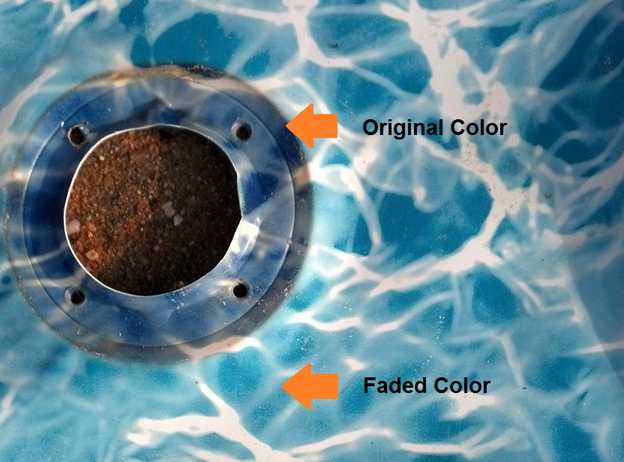 Many chlorines, if used incorrectly, can promote fading of liners. Low alkalinity and pH will cause liners for fade prematurely. Test your water samples to maintain a safe alkalinity level. 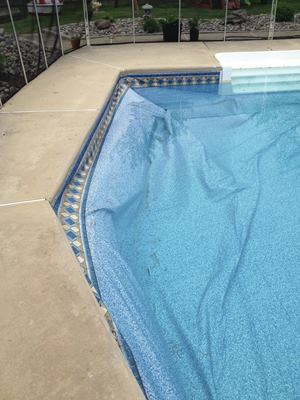 Avoid Calcium based chlorine as they are aggressive and will fade liners prematurely. Always use automatic chlorine feeders on a moderate level over time and shock with a liquid chlorine or a non- chlorine shock. 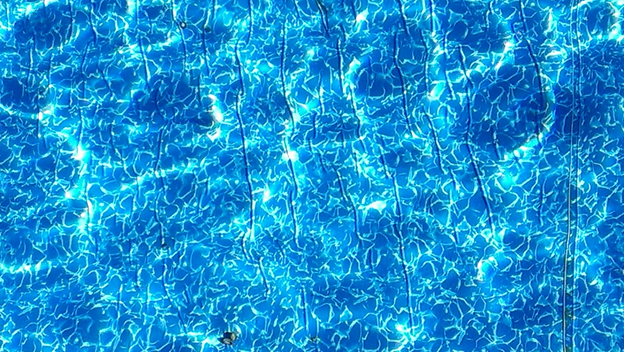 When pools age, it is not uncommon for the coping on some manufactured pools, especially the ones with plastic coping, to become stretched and the groove becomes too wide to hold the liner bead in securely. It may be necessary to install liner lock to take up the extra space. Liner floating is a condition which can happen due to various ground water conditions and is NOT related to the liner installation. 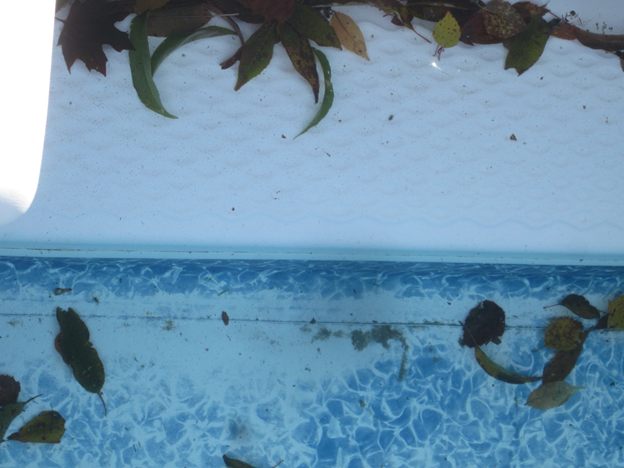 To prevent your liner from floating, do not drain the pool for any reason. When the ground water is high it is important to keep as much weight in the pool as possible. 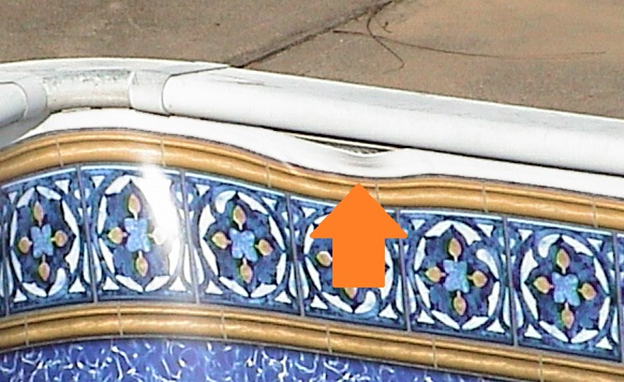 Therefore let the pool fill up all the way to the top. This does not promote water getting behind the liner and the added weight will actually help counteract any ground water that may be under the liner. Surface scratches can happen from numerous forms. 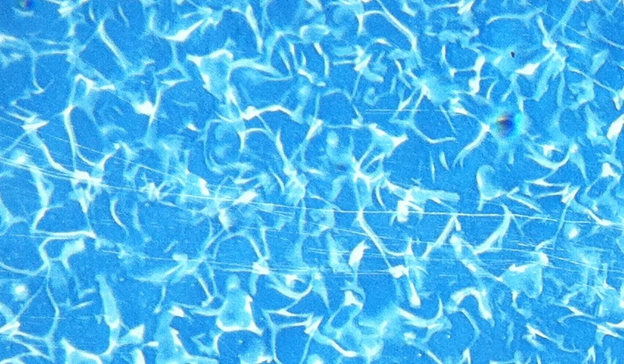 We recommend only using vinyl liner specific items in/ for your pool. In addition maintain these items is very important. The scratches in the image above were from a neglected auto-cleaner. There are a variety of issues that can happen from chemical imbalances or Ph imbalance.